Operating every single day of the year except for Christmas Day, Puffing Billy is an undisputed Australian icon, and well worth a visit with the kids at least a few times. Set in the lush surrounds of Emerald, it takes about one hour to reach from the CBD. Puffing Billy is a classically preserved steam train, and kids will be totally wowed by the billowing steam, old-age splendour and authentic whistle. The journey takes passengers through the crisp greenery of the Dandenong Ranges, with journeys ranging from 50 minutes to several hours in length. There are 23 station stops in total, with a start point at station headquarters based in Belgrave, and services ending in the township of Gembrook. The town of Emerald (stop number 12) is a popular rest area for visitors, with paddle boats, dining options and amenities available for families – this is also where the Day Out with Thomas events operates from. Pack for the day, and bring a good camera for this journey, there are many spectactular photo opps along the way. Tickets: Fares vary depending on the journey you select. Pre-purchasing is recommended due to high demand, especially in school holidays. You can literally go off the tracks with this adventure! 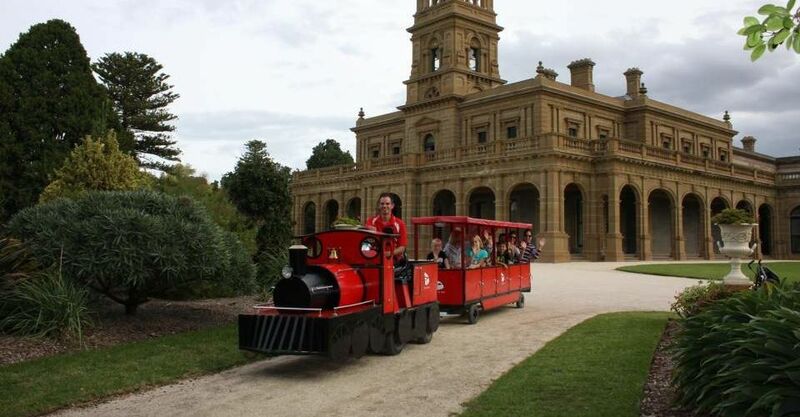 Based in Werribee, around half-an-hour from Melbourne’s CBD, you’ll find Little Red Train which operates every Friday, Saturday and Sunday, even during public and school holidays. Little Red Train is an electric, trackless train, custom-built in Australia that takes its passengers on a short one kilometre journey around Werribee Park, with no stops along the way. The trip takes around 9 minutes in total. Set in the stunning Werribee Park, be sure to check out the Werribee Mansion and internationally recognised rose garden as well. Bring a picnic and stay for the day. Tickets: All fares $5, kids under 3 years ride for free. With steam trains and heritage diesel trains, Mornington Railway is a fabulous option for train enthusiasts. Excursion trains operate on the first three Sundays of each month, with Wednesdays thrown in during school holidays – you can keep tabs of the schedule by following the Mornington Railway Facebook Page. The train services run between Moorooduc and Mornington Stations. Moorooduc Station has a kiosk, barbecue facilities, souvenirs for purchase as well as amenities. 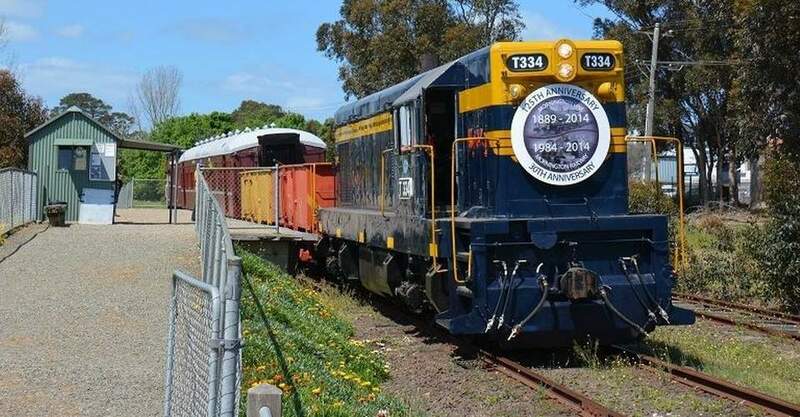 This is a unique option for birthday parties and charters, so get in touch with the crew at Mornington Tourist Railway via their website for information on how to book an event. For some serious train fun, especially for younger kids, head down to The Steam Locomotive Society of Victoria in Moorabbin. This is a long-standing club that been on the chug since the ’40s and lives and breathes all things train! 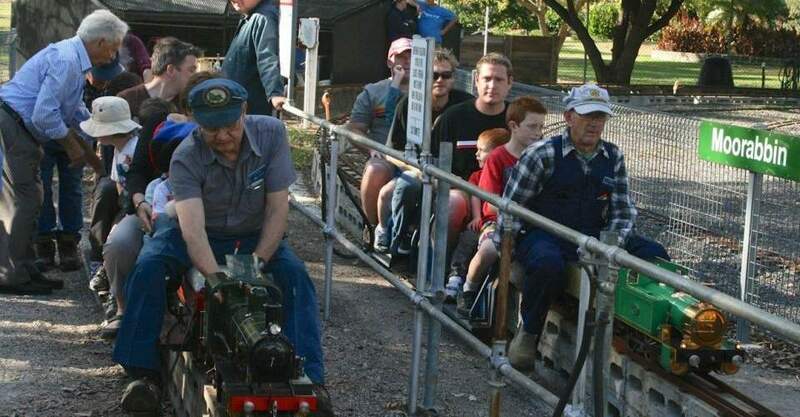 Whilst the club is private, the society is open to the general public from 1:30 – 4:30pm for miniature train rides on the first Sunday of every month. They do NOT run in the month of January, though. Closed footwear is a must for these rides, so leave the thongs and Crocs at home for this visit. 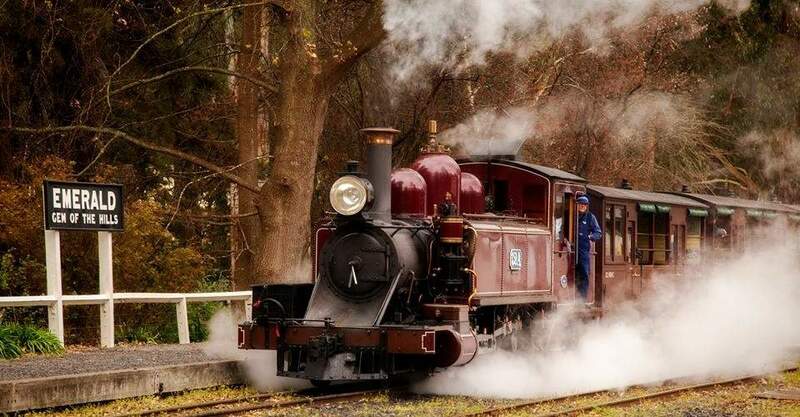 For a toot of a time, make your way through the gorgeous Yarra Valley to the headquarters of the the Yarra Valley Railway in Healesville. This not-for-profit organisation’s collection of locomotives includes a coal-burning steam train – always a huge hit with the kids. The Healesville HQ is also home to a full set of station buildings, a massive water tower and fully operational turntable. 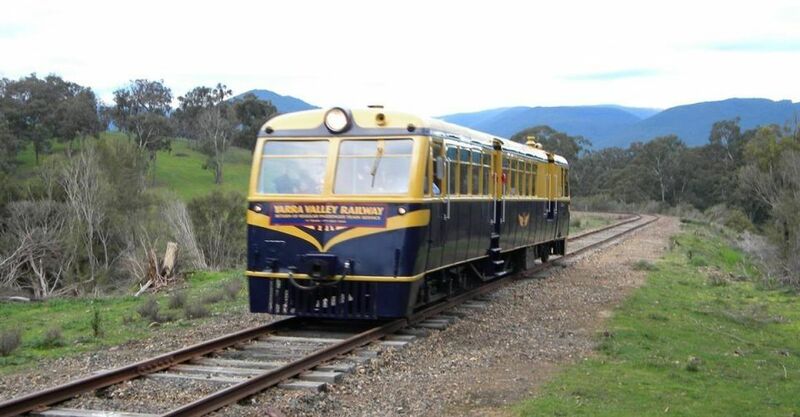 Yarra Valley Railway is open every Sunday (and Wednesdays during school holidays) from 10am, with rides heading out every hour on the hour. Trips run from Healesville through to TarraWarra Estate. On the other peninsula, you’ll find the Bellarine Railway, situated around 40 mintues out of Melbourne in Queenscliff. This is also a volunteer-based organisation, run solely on the hard work of several train-loving folk. There are diesel and steam train rides available here with services running between Queenscliff and Drysdale. 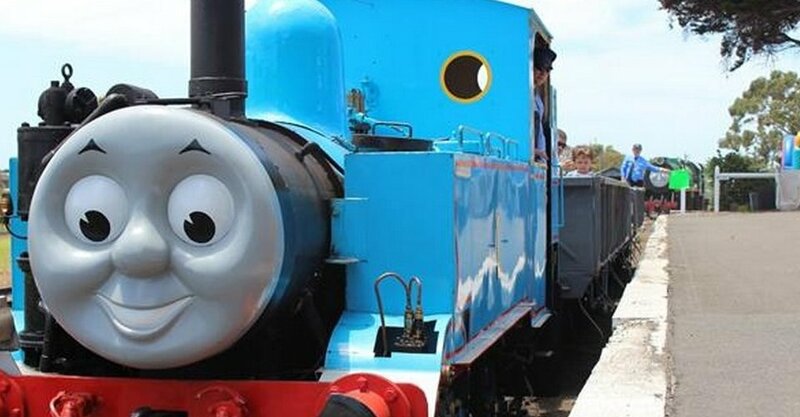 At Bellarine railway you’ll also find the ever-popular Day Out with Thomas experience which gives delighted tots the chance to go chugga-chugging with their favourite choo-choo. Trains generally run on Sundays, as well as Tuesdays and Thursdays during Easter, July and September school holidays.